Hangover Boy – Exclusive mix for bejbi.se. The 54th of our series of exclusive mixes..
Click ”see the rest of this entry” to read more about Hangover Boy and to download the mix. Hangover Boy is Martin Gustafsson, born on the 27th of January 1980 in Stockholm, Sweden. At the age of 12 he started creating music with computers and is now producing hard banging techno under the alias Micro Groover and groovy, funky house under the alias Hangover Boy. 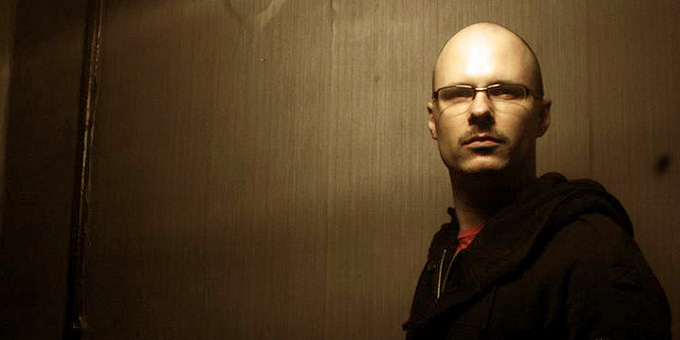 The early influences he gained from computer games music, the computer demo scene music and the late 90’s electronic music scene in Stockholm are still influencing his music productions in a very special way. In 2002 he performed live for the first time at a reoccurring techno party called Mixed Sounds and has since then been DJing and performing live at several clubs in the Stockholm area. Live performance collaborations include producers such as Johan Inkinen, Marcus Wrangö aka. Funkwecker and Johan Afterglow. Remixes have been composed for producers such as The Miller, Nitrosound, Elton D, Danny ‘Blackbelt’ Andersen and Ted Björling; they have, sadly, never reached the vinyl presses for various reasons but are available on the internet for those looking. His tracks have been played by Swedish and international DJs, used as background music on Swedish television and can be heard on radio stations on the internet. In 2003 he was featured on the Swedish DVD “Collectanea: First Course – Swedish Electronica” released by Escapi Music. In 2006 one of his tracks are featured on the DJ mix-CD URBR Presents #5: Alec Araújo; mixed by the brazilian DJ Alec Araújo and released on Underground Records Brazil. As a DJ he is technically skilled and works the crowds with the music both they and himself can enjoy without streamlining the music towards a particular genre. Making people smile and getting them to dance their feet off is what it’s all about, not getting credits from the DJ community. His new project, “Hangover Boy” is a progressive, funky and groovy approach to house music with techno influences. The core essence of the project is to make music that will move dance floors and induce that “goose bump”-feeling that we all are looking for. In 2006 he is launching his own label called “mgroover recordings” which will showcase both techno, electro, house and experimental tracks under the four label categories cyan, magenta, yellow and black. Download Hangover Boy’s Exclusive mix here (right click and save as) or listen to it live on Soundcloud or just press play below here. If you want to hear more of Hangover Boy, check out his Soundcloud.